This is a beautiful button! 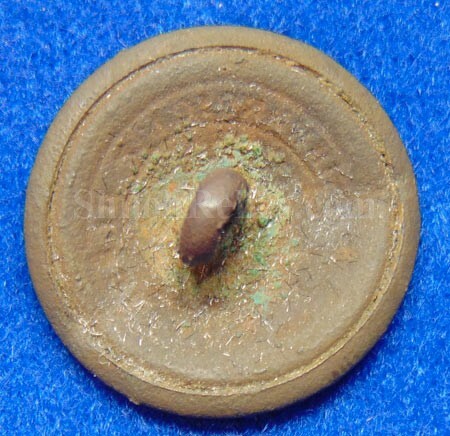 This is the button from the 1840 campaign of William Henry Harrison for President. He had several different versions of these "Log Cabin" buttons with this one being the style listed as PC155a in Albert's button book. It shows the log cabin with the barrel on the front of the cabin. The face still retains a fine amount of the original gold gilding down in the protected areas. 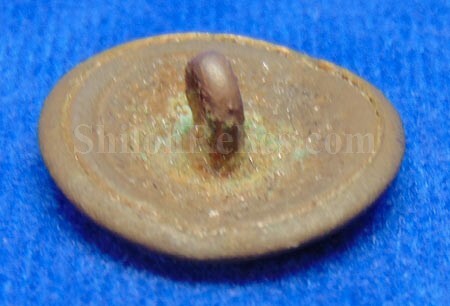 On the back of the button it still retains the original shank. It displats well but has the bend as you can see in the images and it is priced accordingly. 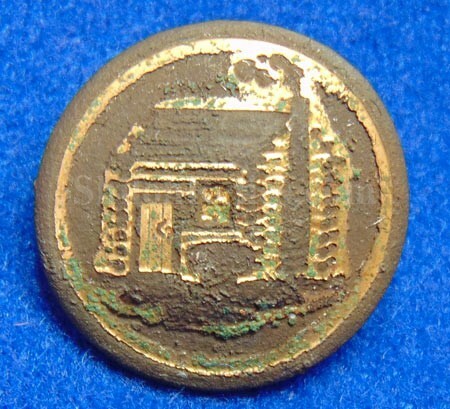 This is a great button from 170 years ago.